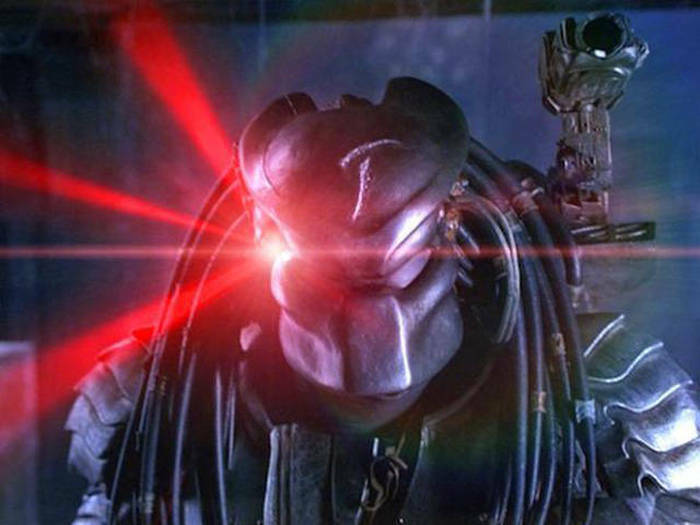 When it comes to horror and sci-fi classics, "Predator" is always at the top of the lists. Today you're going to learn some things you might not know about the classic film. It was almost titled ‘Hunter’. The name of the movie didn’t switch until after production. The film was shot entirely on location South of the border. The fictional jungles of ‘Val Verde’ are actually locations in Puerto Vallarta and Palenque, Mexico. However, because the Mexican jungle is deciduous, tons of fake leaves had to be added to the trees in order to make the jungle seem lush and inescapable. The original plot had Dutch Schaefer pitted against the Predator alone. Arnold Schwarzenegger thought this was a bad idea. 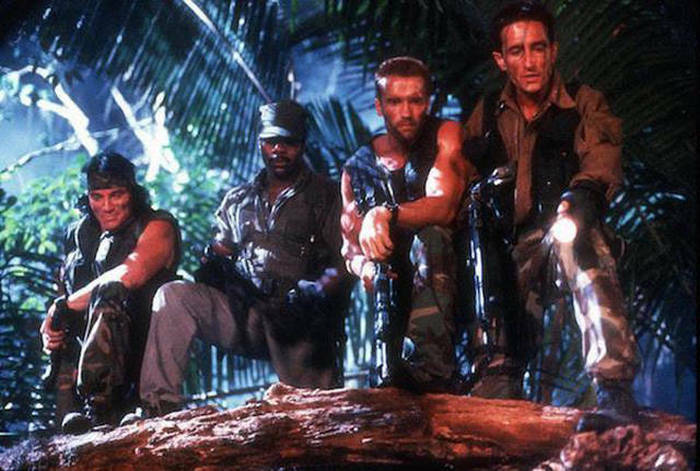 The script was rewritten to include a team of crack commandos. Arnold Schwarzenegger lost over 25 pounds before filming began in order to better fit the role of a special warfare operative, who would be lean as well as muscular. 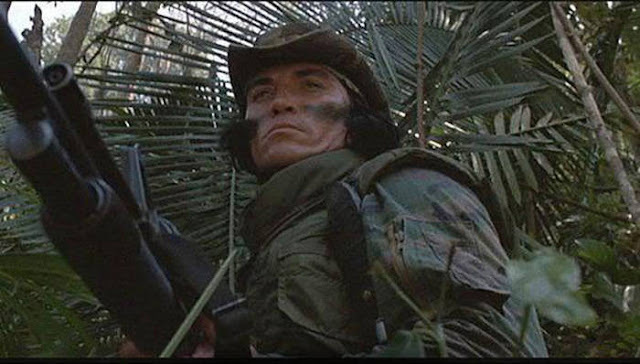 Sonny Landham was hired to work on this film, but on one condition: the insurance company insisted on a round-the-clock bodyguard for him–not to protect the actor, but to protect everyone else from him, as he had a reputation for engaging in bar fights, brawls, etc. The GE M134 mini-gun nicknamed ‘Old Painless’, shot blanks. 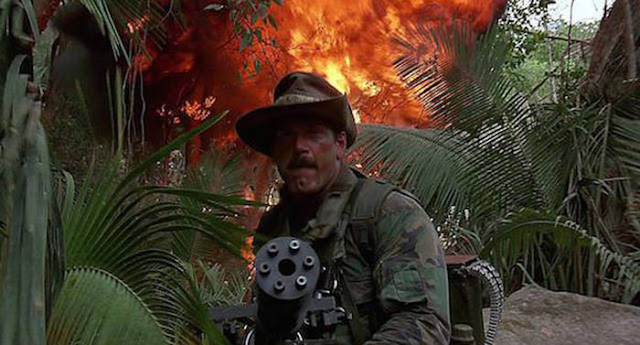 However, it was still extremely deadly and the cast and crew had to stand at least 50 feet away when it was being fired. 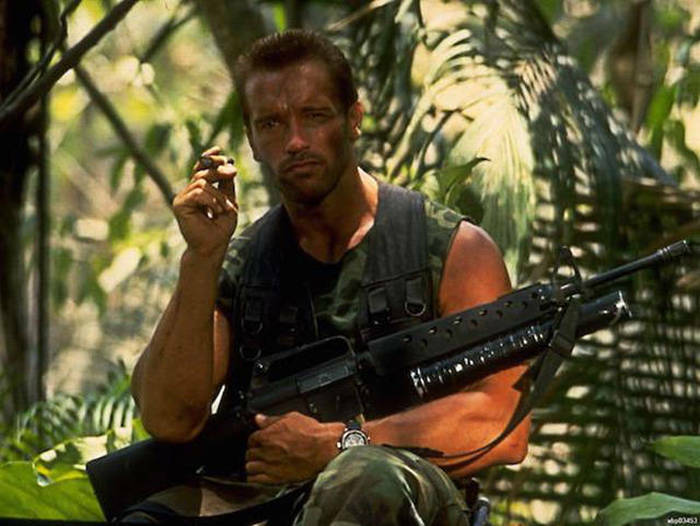 Due to health and safety regulations, Arnold Schwarzenegger was not allowed to light his cigar inside the helicopter near the beginning of the film. As a result the glow was added optically in post-production. Kevin Peter Hall stated in an interview that his experience on the film, “wasn’t a movie, it was a survival story for all of us.” For example, in the scene where the Predator chases Dutch, the water was foul, stagnant and full of leeches. 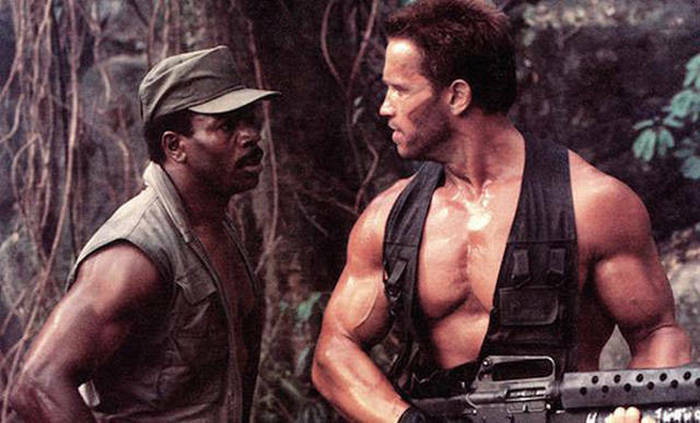 The Predator’s heat vision wasn’t actually heat vision. 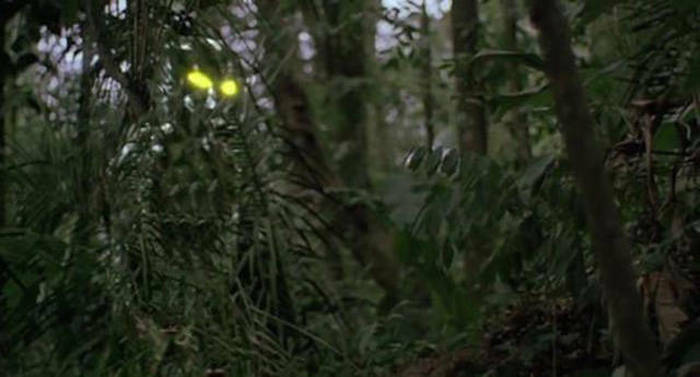 The filmmakers attempted to use actual heat vision for the Predator, but the specific camera proved impractical for the on-location shoot. 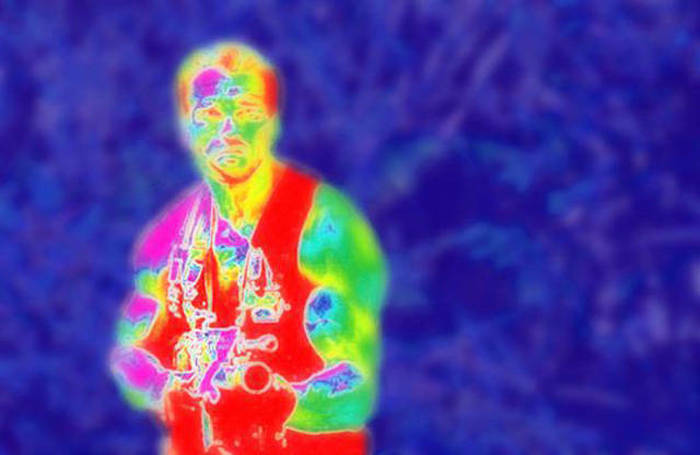 Instead, normal footage was made into a negative image in post-production and exaggerated “heat vision” colors were added to create the effect. It is alleged that in the early 90s, the Department of Defense tested a form of camouflage that used millions of fiber-optic cables to ‘mirror’ the opposite side of the object that it is wanting to remain hidden. They got this idea from the movie. 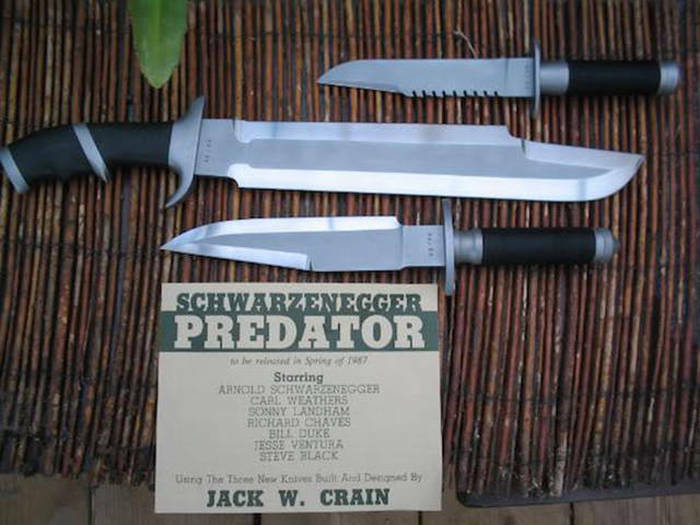 The knives used in Predator were all designed and made by Texas knife maker Jack Crain. 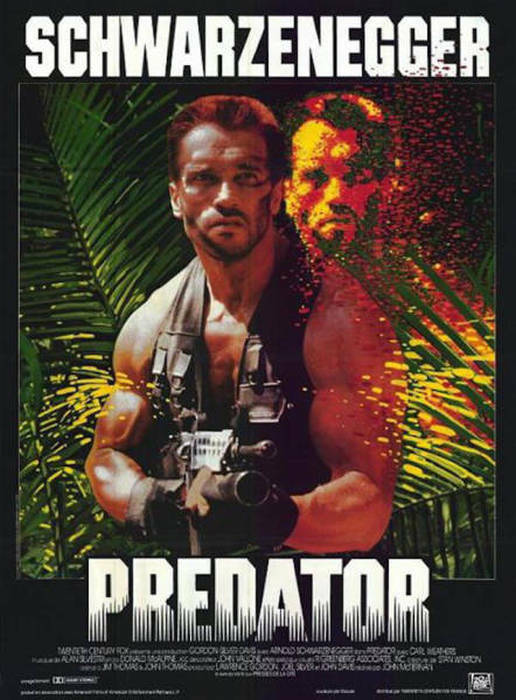 Predator is one of only four movies ever featuring two United States governors with roles as actors. MythBusters proved that covering yourself entirely in mud doesn’t, in fact, conceal your body heat, because after only a short time, the mud on your skin becomes warmer. 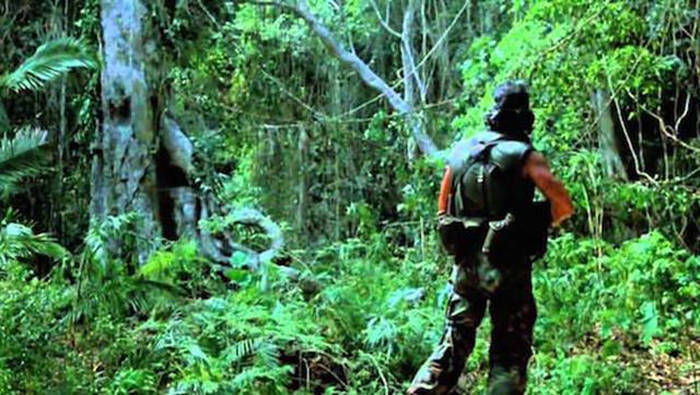 After Predator kills his entire team, Dutch yells at Anna to “Get to the Chopper!”. The actress initially didn’t know what Arnold was saying because of his thick accent, and found the line humorous. It took several takes, as the actress kept laughing when he screamed it. 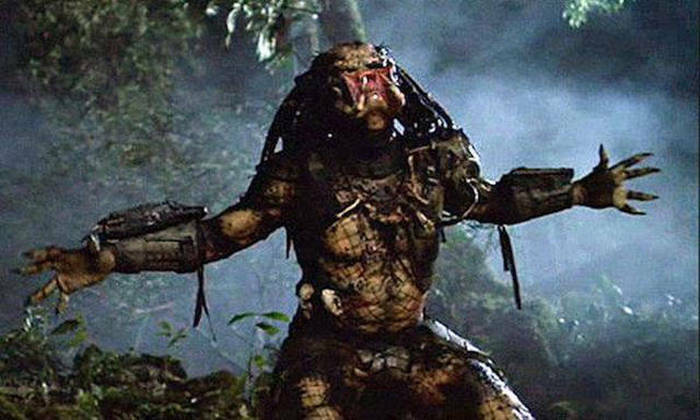 The original design for the Predator was scrapped in the middle of production. It resembled a lanky, bug-eyed insect, but director John McTiernan thought it wasn’t scary enough. He halted production on the entire movie so it could be redesigned. 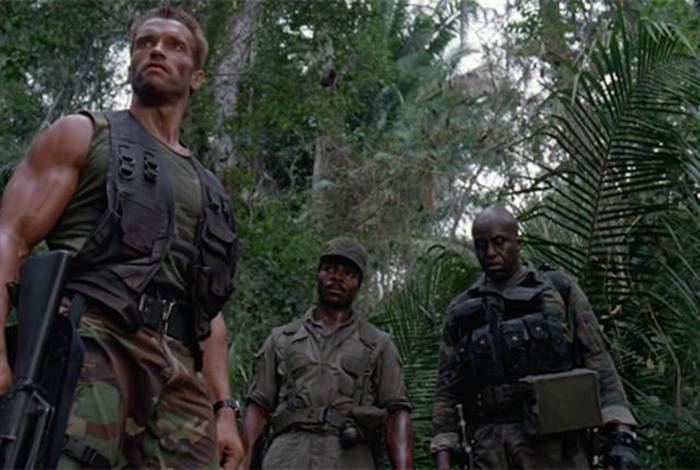 Arnold Schwarzenegger personally tapped effects wizard Stan Winston to revamp the Predator design. Winston had previously designed Schwarzenegger’s famous robot skeleton in The Terminator. Jean-Claude Van Damme was the original guy in the Predator suit. The “Muscles from Brussels” was reportedly fired from the movie because he complained too much about how uncomfortable the suit was. James Cameron partly inspired the new design. 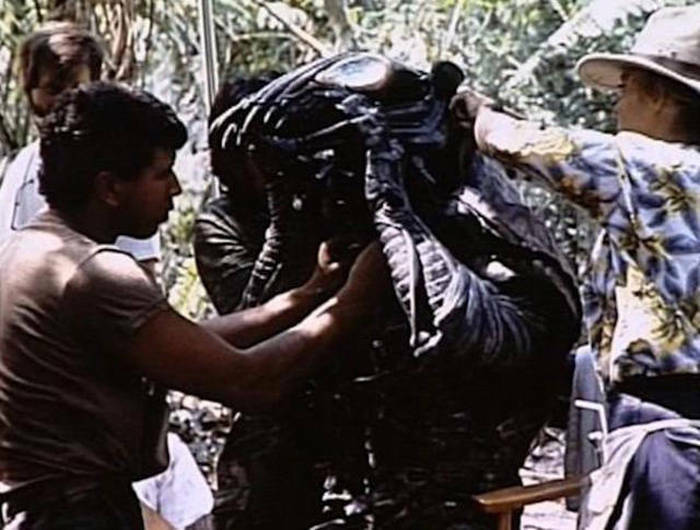 While on a flight during the production of Aliens, Cameron mentioned to Winston (who was sketching ideas for the new Predator) that he’d always wanted to see a monster with mandibles. Winston added the oral appendages to the final drawing of the updated Predator. The updated suit was no picnic to wear. 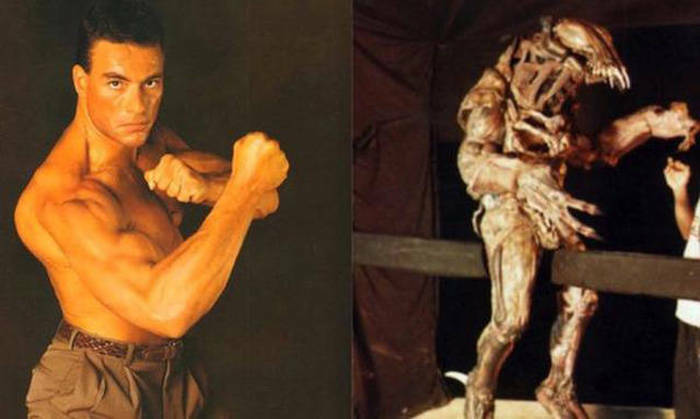 The fully functioning suit weighed upwards of 200 pounds, which was a lot of weight for Kevin Peter Hall, the seven-foot-tall ballet dancer, martial arts expert, and actor they brought on to replace Van Damme. 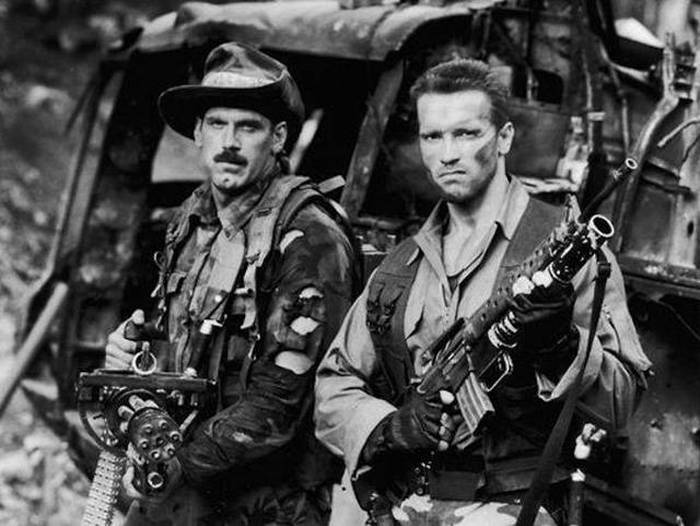 The Commando look in the film was based on Sgt. Rock comics. Hawkins can actually be seen reading a Sgt. Rock comic in the end credits. 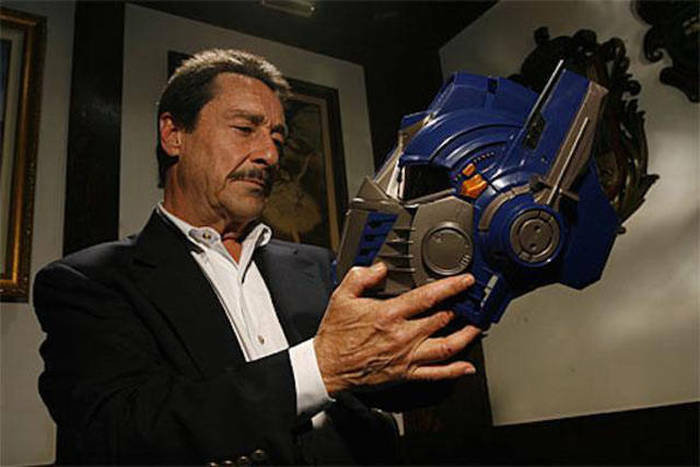 The Predator is voiced by Peter Cullen. He’s also the voice for Optimus Prime and Mario. Shane Black was cast for his script expertise, not his acting skills. Black, who plays Hawkins, had previously written the screenplay for Lethal Weapon; he was covertly cast in the film so that he would be available to make on-the-fly and uncredited script changes while onset. Most famously, Black would later write and direct Iron Man 3. 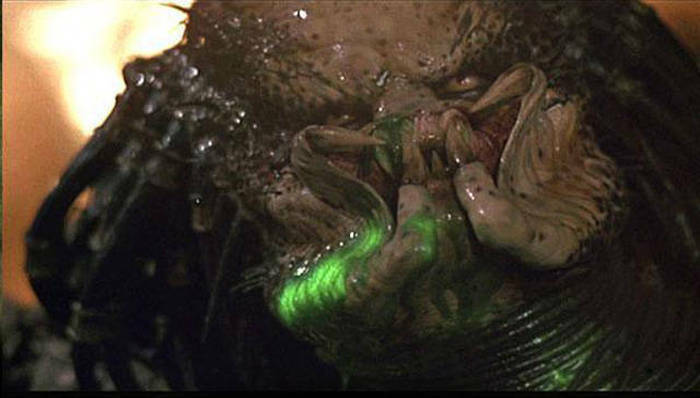 The Predator’s glowing green blood was actually made from glow sticks. 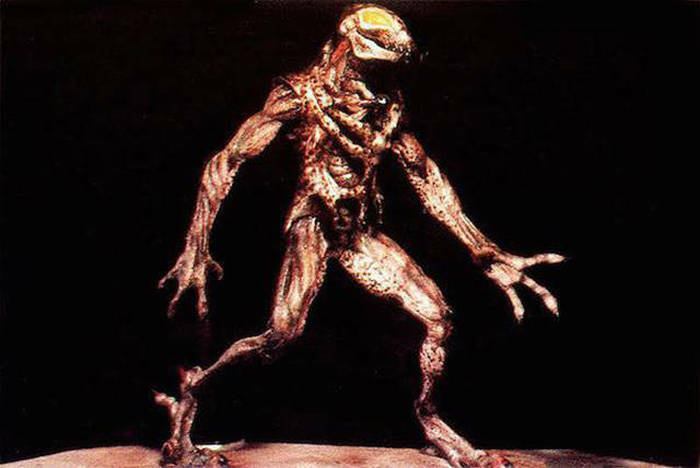 The filmmakers originally used an orange substance for the creature’s blood, figuring they would spiff it up with special effects in post production. But the orange goop looked so bad on camera, they decided they had to make a change. They wound up using the luminescent liquid from the inside of glow sticks, which they bought over the counter. 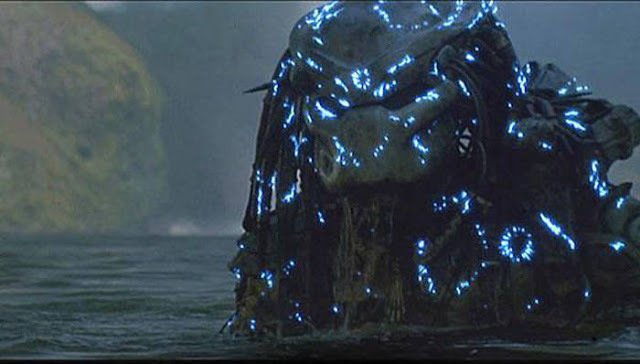 2 responses to "Fun And Interesting Facts About The Movie Predator (23 pics)"